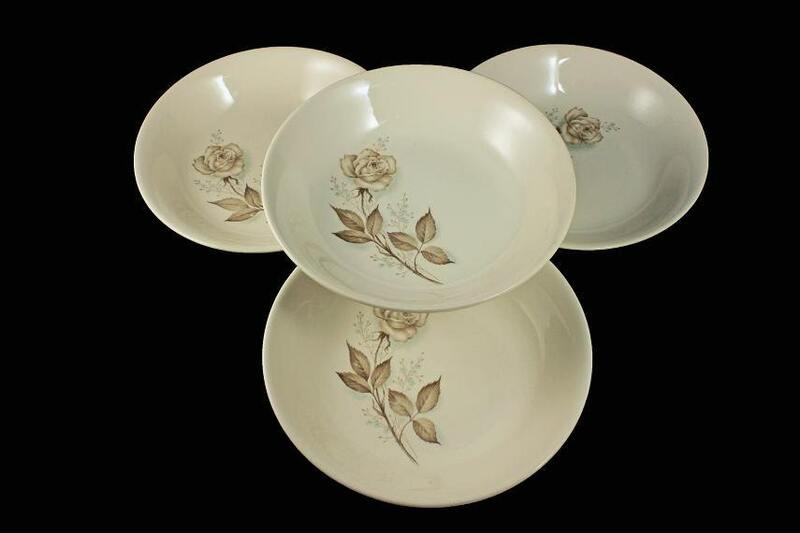 A wonderful set of 4 coupe soup bowls in a hard to find pattern by Mount Clemens. 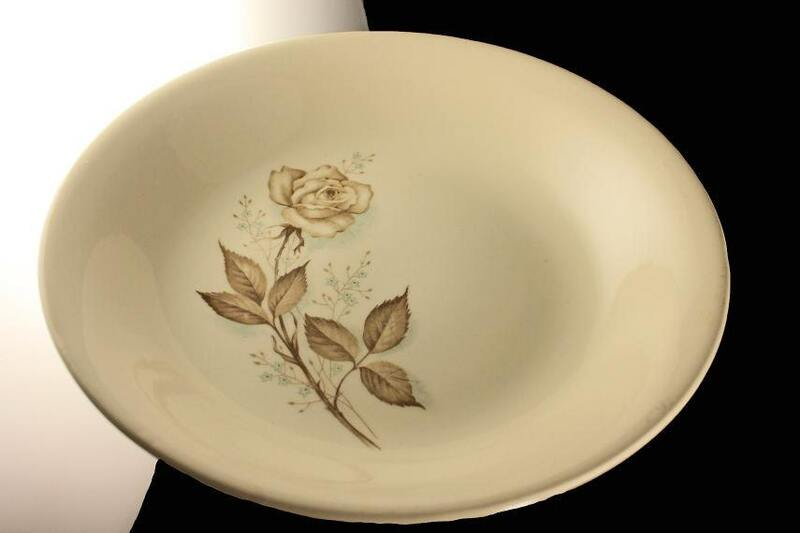 This is a charming brown rose with powder blue shadows and mini flowers. 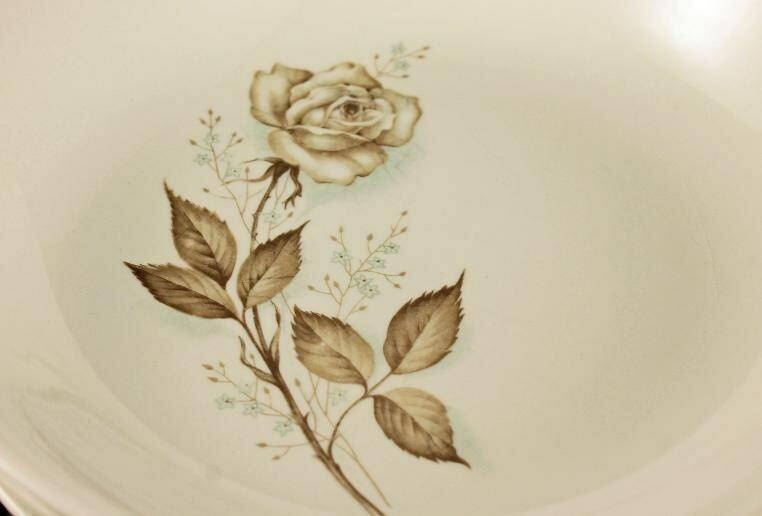 What a great way to add a touch of the past to your dinner table, buffet, or sideboard. 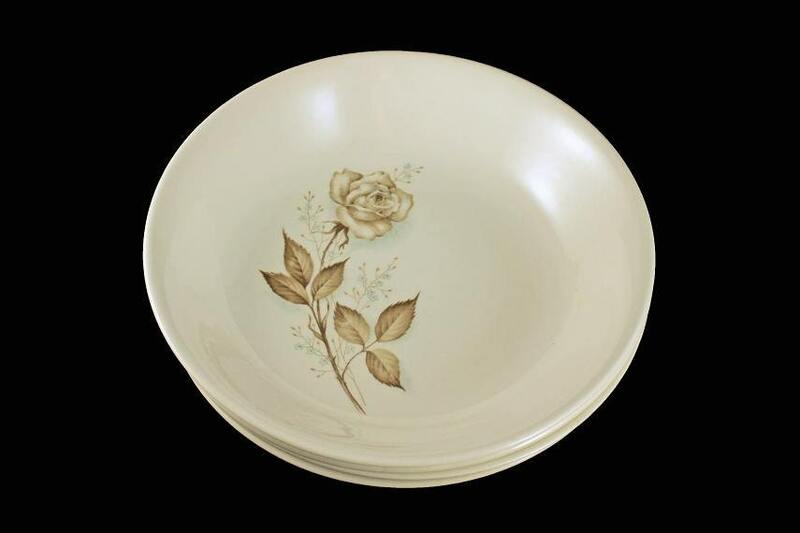 Mount Clemens Pottery Company was started in 1915 and ceased production permanently in December 1987. 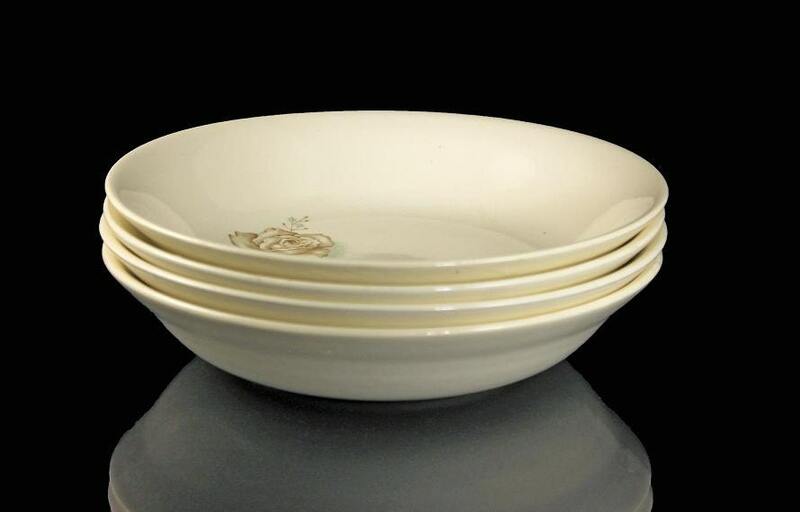 Both sets of soup bowls are in excellent condition. There are no chips, cracks, or crazing.